Putting a healthy meal on the dinner table got a whole lot harder today for 47 million Americans. $5 Billion in cuts to the federal Supplemental Nutrition Assistance Program (SNAP), formerly known as Food Stamps, go into effect and will reduce the monthly benefit for every single household who relies on this program.The loss of benefits could mean 21 fewer meals for a family of four each month. We're taking food off the plates of young kids, veterans and seniors. We know that hungry kids can't learn, that hungry adults can't concentrate at work, and that hungry seniors are at greater risk. By reducing SNAP, we are cutting into our best front-line defense against hunger. So, why is this happening? Congress increased SNAP benefits at the start of the recession to help struggling families and boost the economy. It worked. It prevented a dramatic rise in hunger, and because every $5 in new SNAP benefits generates as much as $9 of economic activity - it supported local communities. Three years ago Congress voted to end the increase. At the time, Democrats supported the cuts so that they could increase funding for healthy school meal. Many thought - and promised - they'd be able to restore funding in future years. Funding hasn't been restored and today we face the the impact of that decision. These cuts are bad, but they could get worse. Congress continues to debate the Farm Bill - which provides funding for SNAP. The House and Senate have both proposed further cuts to the program which would be devastating for hungry families.. At one time SNAP enjoyed bipartisan support - we all rallied together with the belief that no one in the United States should struggle with hunger. Today SNAP is a polarizing topic - seen as a program favored by the left. Media hyperbole and allegations of waste, fraud and abuse make many unsympathetic to the cause. The reality is Food Stamps are an effective and efficient way of reducing hunger and poverty. Reducing benefits means more people will go to area food banks - and they simply don't have the capacity to feed all the hungry households. We can't rely on charity alone to solve hunger. We need a strong safety-net that can there for people when they need it most. and SNAP is just that. Get on the phone and contact your Congressional delegation. 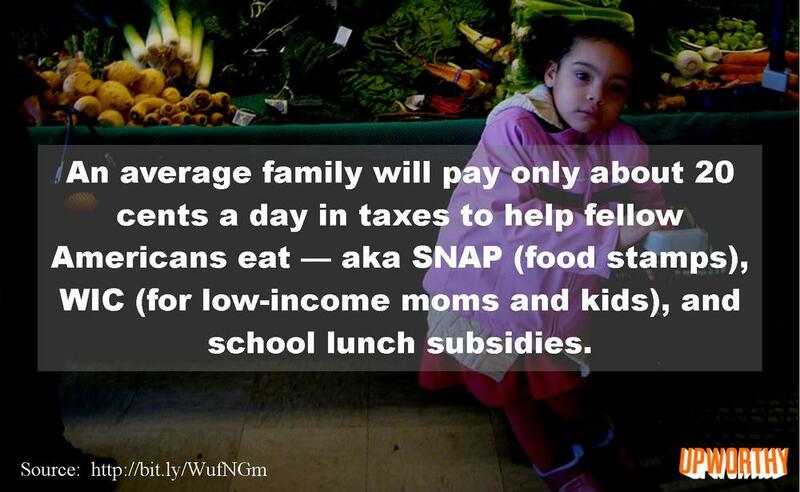 The stakes are high - too high for hungry families.